My name is Jennifer Hanscom. 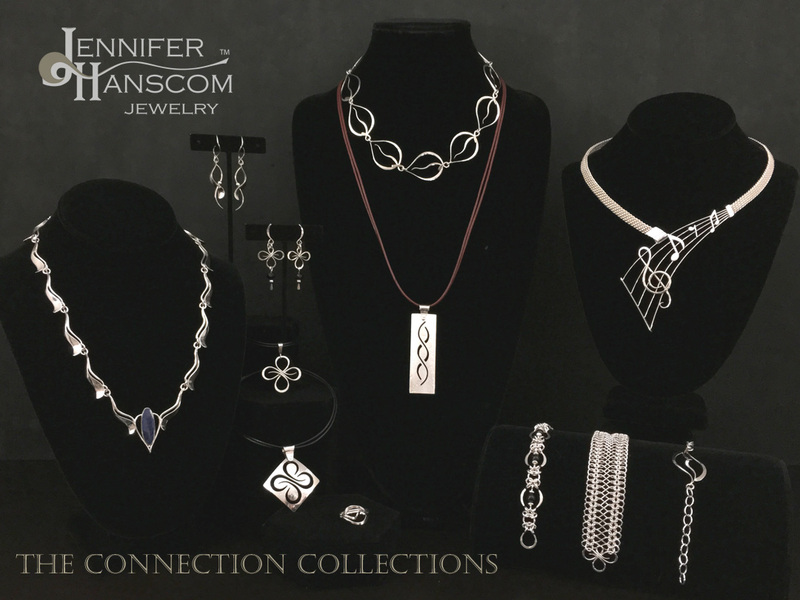 I am an artisan jeweler based in Phoenix, AZ, focused on using my strengths to enhance the world we live in. Inspired by my husband and the rock he carries in his pocket to remember to be grateful, I decided to create a series of jewelry collections based on positive intentions. Unlike the rock that hides away in his pocket, my jewelry adds a positively, elegant statement to almost any outfit. And when you put it on in the morning, or glimpse at it throughout the day, the powerful meaning resonates through your conscious thoughts. Our world today is a frenetic place; seemingly out of control. It’s hard to find a sense of peace. I believe that we can overcome much of our stress by changing our thought pattern. Focusing on the aspects of life where we can create a positive impact culminates in “feel-good” successes, and energizes you to continue. Having objects that remind you to be mindful in this way, serves to aid you in nurturing your soul. Inspiring vibrancy and zest for life. Celebrating individuality and encouraging you to be true to yourself. Providing opportunity to showcase your passion for music. A perfect symbol to commemorate profound relationships. And, announcements including new designs and promotions.